Hello and welcome! We’re now just days before Christmas, so we’ll take this opportunity to let you know we’ll have limited coverage the day-of (Tues, Dec 25th), but will be business as usual in the days surrounding.For those celebrating we wish you a Merry Christmas. For those not, we hope you enjoy a relaxing Tuesday.Warning: fun stuff this issue. Fun is usually one of our standards, but in this issue we’ve got a few things we think you’re sure to enjoy.For starters, the new interface is available. It looks great, and we’ve made it so you can switch between new and Classic view. So far we’re calling the new look Dark Mode, and we’re considering making a counterpart, a Light Mode option, for those who prefer lighter shades. You can imagine some of the internal jokes we’ve been making, about Star Wars, the Dark and the Light side of the Force and so on.We’ll see what it’s eventually called, if it needs a name at all, but for now we’ve been having fun with it. See more in What’s New.More fun, and helpful, things to share with you under Sellers’ Paradise; social media marketing tools to help you in the New year. Then, in The World Of Amazon we give you tips on how to write high-ranking Amazon product listings, and under Tips & Tricks we show you how to use the incredible Finder tool -- which is free in your MBS.Have a great weekend! 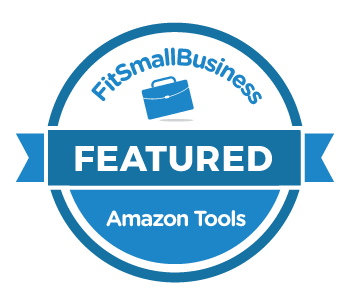 With the Finder tool it’s now easier than ever to find hot new product opportunities on Amazon. This week we want to show you how to use the multiple selection options and columns to narrow your searches.Finder is free and it’s available in your ManageByStats now. The main page of the Finder tool gives you information on the operators you can use to narrow your searches. Operators are things like the equals sign (=), greater than (>) and so on. Let’s take an example of how you might use these operators to set parameters in the Finder tool. We’ll start with the columns at the bottom: The example settings above would give you products between 400 and 6000 BSR, less than 1000 Reviews, a Price between 17 and 70 dollars (you don’t need the $ sign), and products that weight less than 80 ounces (Weight values are in ounces).We can then make selections in the Columns: And select the Product Category or Categories. Finder will display multiple categories at once: The results are displayed, giving you a wealth of information on products from the selected categories. “Stop being afraid of what could go wrong, and start being excited of what could go right.”- Tony RobbinsAll the best,Your ManageByStats Team Read Our Newsletters Online! And don't forget to share ManageByStats with your friends. Our affiliate program pays you an ongoing 25% referral commission.See the Affiliate menu under Settings in your ManageByStats.